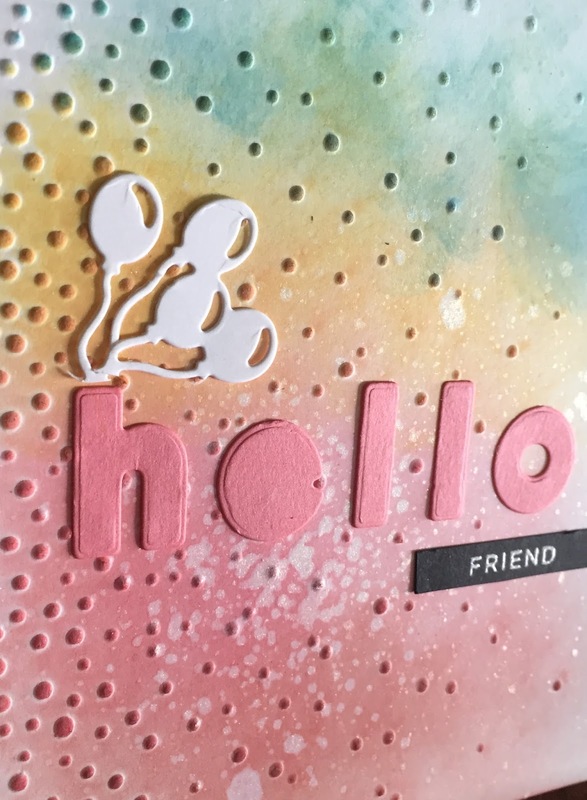 Excited about tomorrow's first Rainbow Maker class at Online Card Classes! I also couldn't wait to use my new Everett Alphabet dies from Cathy Zielske, so as soon as I had them snipped apart, mounted on a magnet sheet, and filed in my die binder, I took them out and made this card. Used distress oxide inks for the background, running it through my Big Kick with an embossing folder for some texture. Then, because they're distress oxides I could t resist a spritz, this time of shimmer spray, before mounting the letters and sentiment.